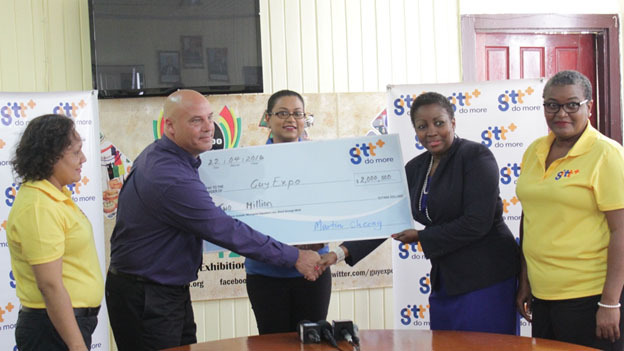 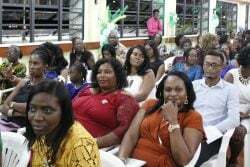 GTT today presented a $2M cheque to the GuyExpo 2016 Committee at the National Exhibition Centre, Sophia.A release from the company said that Chairman of the GuyExpo Committee Dawn Holder who accepted the cheque on behalf of the Committee expressed great satisfaction at GTT’s continued support. 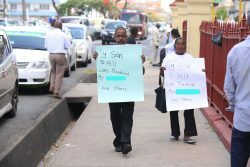 In photo at extreme left and right respectively are GTT PROs Nadia De Abreu and Allison Parker while GTT Marketing Director Daniel Jilesen (second from left) presents the cheque to Dawn Holder, Chairperson, GuyExpo Committee. 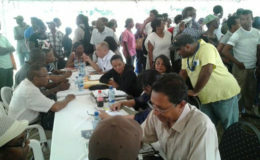 At centre is GuyExpo Coordinator Tameka Sukhdeo-Singh.